The highly anticipated Budget 2017 has had very mixed reactions among key players in the property industry – from developers, analysts and Malaysians alike. We dissect Budget 2017 and list down 13 ways it will affect the property market and you as a consumer. A new, special “step-up” end-financing scheme for the PR1MA programme to reduce loan rejection rate. Application process will start from Jan 1, 2017. The scheme is in collaboration with the government, Bank Negara Malaysia, Employees Provident Fund (EPF) and four local banks — Maybank, CIMB, RHB and AmBank. This scheme will provide plenty of incentives for first time home buyers. If you are intending to buy a property, this is a good time to start your property hunt. However, you should seek advice from home mortgage specialists to ensure you get the most from this incentive. Talk to them and find out what you need to do three to six months prior to buying your first property. 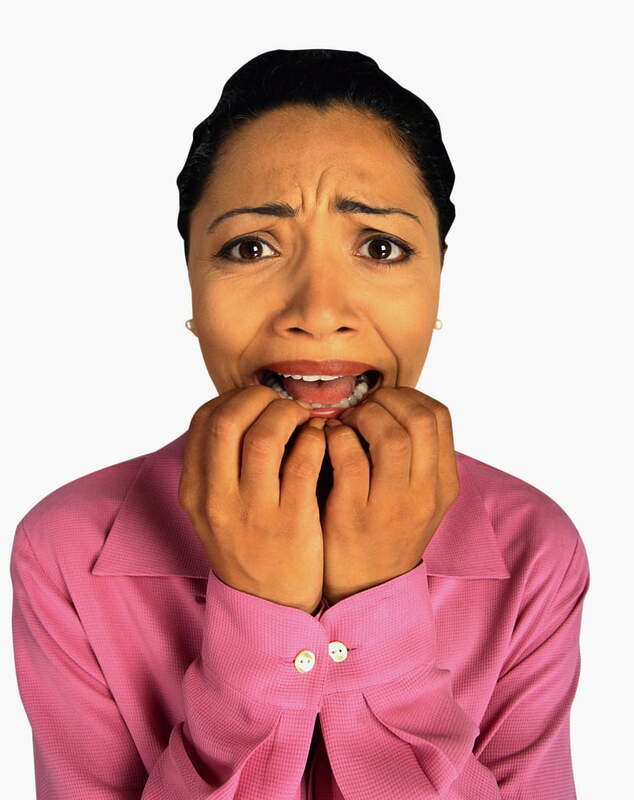 This will mitigate your risks on loan rejections. While this is well meaning, there is a high likelihood that these segment of first time home buyers may end up defaulting on their loans. In the first place, having their loan applications rejected by Bank Negara is a major red flag as it indicates that the individual may have had financial issues in the past such as the non-payment of PTPTN loans, bad credit card payments and so on. Giving them an easy way out may further exacerbate the problem. The only way forward is a national financial literacy programme to be implemented across schools so that young Malaysians will develop a sense of responsibility when taking loans. Having financial literacy is imperative as they can subsequently manage their finances better. This means a better chance in getting a housing loan. Incentivising them at the cost of other good tax payers (such as those with existing and multiple properties) isn’t fair. Moving forward, more clarity is needed on the general mechanism of how the EPF is going to be used. The government needs to explain in greater detail whether it will involve EPF only as a collateral or as a landing platform in case of insufficient savings or weak financial background. In addition, most Malaysians do not support the initiative to tap on the EPF, besides the current use of account number two, to finance purchase for first time home owners. The general consensus is that the EPF is meant for Malaysians’ retirement fund and as such, should remain untouched. The reduction of loan rejection rate mechanism needs to be addressed in detail and shouldn’t create unfair competition among the private property sector. Government to build 10,000 houses in urban areas for rental to eligible youths with permanent jobs. They may rent up to a maximum of five years, at a below-market rate. This is a good initiative for those who cannot afford to buy a home or have had their loan applications rejected. This will provide a temporary relief until you are more financially robust. You will have to wait until you are financially sound and credit worthy to own your first home. Government to complete 30,000 units of 1Malaysia Civil Servants Housing (PPA1M) priced from RM90,000 to RM300,000 — or 20 per cent below market price. The locations of these homes have yet to be announced. Location is of paramount importance as it will determine if these homes will appreciate in value in the near future. Introducing MyBeautiful New Home for the B40 (the bottom 40 per cent of households with a monthly income of RM3,900 and below) with a RM200 million allocation. The government will kick-start with the building of 5,000 units (priced at RM40,000 to RM50,000 each). The government will finance RM20,000 with owners paying the rest in instalments. These homes will be built on owners’ land; land permitted by the landowner; and land awarded by state governments. The Ministry of Urban Wellbeing, Housing and Local Government will get RM134 million to build 9,850 houses under the People’s Housing Programme (PPR). A total of 11,250 People’s Housing Programme (PPR) houses are being built. These will be sold from RM35,000 to RM42,000 — much lower than the construction cost of RM120,000 to RM160,000. Government-linked companies (GLCs) and Perumahan Rakyat 1Malaysia (PR1MA) to get vacant land at strategic locations to build more than 30,000 houses. These will be sold from RM150,000 to RM300,000 — below the market price of RM250,000 to RM400,000. Some 5,000 units of People’s Friendly Home (PMR) will be built. The government will subsidise up to RM20,000 per unit. Home ownership will be within reach for those who fall under this category. In addition, the monthly mortgage will be something that they can afford. The various affordable housing schemes offered by the government, while laudable, is confusing for the lay person. They should be run under one single government agency much like the Housing and Development Board (HDB) in Singapore. In addition, existing government homes tend to be poorly maintained. Also, the location remains a huge question mark. The combination of a badly maintained property located in a far flung location will mean a depreciation in property values over time. The rate of stamp duty on instruments of transfer of real estate worth more than RM1 million up from 3 per cent to 4 per cent effective Jan 1, 2018. Less speculation and flipping in the high-end property market. Existing property owners will have to pay more once your property is completed. You need to do proper financial calculation to ensure you will have sufficient funds to pay for your stamp duty. In addition, buyers who fall under this segment tend to have strong holding power. Therefore, it is unfair to penalise these group of buyers who generally are good paymasters at the expense of first time homeowners who are likely to have had bad paying habits. Stamp duty exemption to be increased to 100 per cent (currently at 50 per cent) on instruments of transfer and housing loan instruments. This exemption is limited to houses with the value up to RM300,000 for first home buyers only for the period between 1 January 2017 and 31 December 2018. For those wanting to buy you first home, this will help reduce your cash outlay. A new 600km East Coast Rail Line connecting Klang Valley to East Coast, costing RM55 billion. This will connect Port Klang, ITT Gombak, Bentong, Mentakab, Kuantan, Kemaman, Kerteh, Kuala Terengganu, Kota Bharu and ends in Tumpat. The East Coast Rail Line will make these areas highly accessible and desirable. Follow where new infrastructure development will be as this will help to boost your property values. The spillover impact will be felt in the property market and beyond like tourism and retail. RM2.1 billion allocation for five economic corridors, namely Iskandar Malaysia, NCER, ECER, SDC and SCORE. Budget allocation in these areas will lead to job creation and spillover demand for properties. This will help to unlock values for future and existing homes. You will have to wait for further announcement for details on what exactly will be implemented in these five economic corridors. 15 per cent discount on the outstanding debt for full settlement of PTPTN loans. 10 percent discount for payments of at least 50 per cent of the outstanding PTPTN debts in a single payment, as well as repayment through salary deduction or direct debit. Increase your chances of getting your home loans approved. We can’t think of anything adverse on this budget announcement. To assist first time home buyers, we will be conducting a two-day Propenomy GYM workshop on 19 and 20 November to be held at WOLO Bukit Bintang, Kuala Lumpur. This intensive workshop will cover all the key budget announcements and how you can benefit from them so that you can eventually buy your first home. It will be conducted by Dr Daniele Gambero and Khalil Adis. Help me, I cannot get a loan! Loan rejections are a major stumbling block among many young Malaysians wanting to buy their first home. We list down 5 reasons why your loans are rejected and solutions you can overcome them. Some of the major stumbling blocks include not clearing your education loans and not paying your credit card bills on time. If you are an aspiring first time home owner and have had your bank loans rejected, you are not alone. From real estate agents to developers, anecdotal evidence on the ground suggests that the rejection loan rate in Malaysia is as high as 40 per cent. 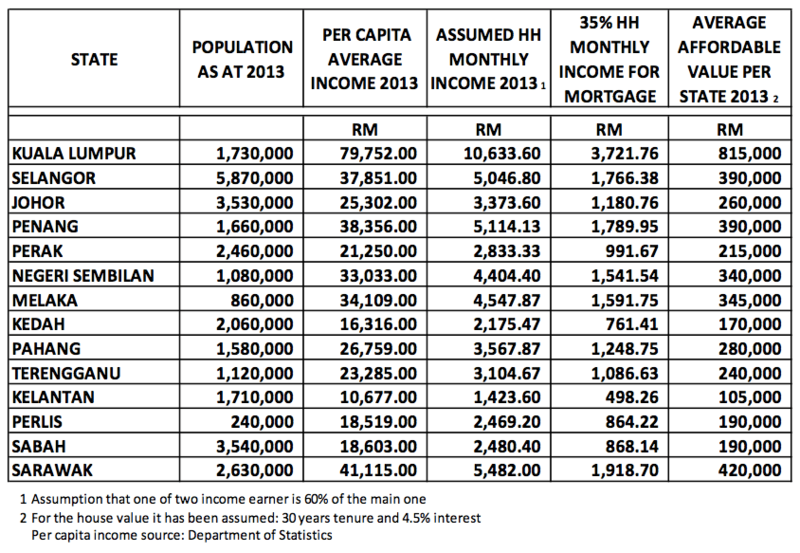 However, the Association of Banks Malaysia (ABM) has said this figure is actually around 20 per cent. According to figures by ABM, the number of housing loan applications in 2015 across 13 banks totalled some 456,853. Of this, 93,159 applications was rejected which translates to a rejection rate of 20.39 per cent. Banks want to see a good pattern of savings habit before they can decide if you are going to be a good paymaster or not. Your monthly bank statements that you provide to the banks for loan application will greatly determine if you will succeed or fail in your mortgage application. It is always a good idea to set aside at least 10 per cent of your income every month at least one year to six months before you apply for a housing loan to show a regular savings habit. While this may sound easy on paper, the reality is of course very challenging due to the rising cost of transport, food and other basic necessities in Malaysia. Hence, it is imperative that you try your best to live within your means. Cut back on unnecessary expenses like that RM12 cup of coffee at Starbucks and opt for something cheaper at a local coffeeshop. Always ask yourself “is this really necessary” before purchasing something. Delayed gratification will pay in the long run. According to a survey by the Asian Institute of Finance (AIF), majority of Gen Ys (38 per cent) are living on high cost of borrowing, while 47 per cent are engaged in expensive credit card borrowings. Of this, 45 per cent do not pay their credit card bills on time. This is a worrying trend as it will affect your credit history (CCRIS). When you apply for a housing loan, banks will check against your CCRIS to see if you have been paying your credit card bills on time. Not doing so will result in immediate rejection. Make sure you pay at least the minimum sum before the stipulated deadline six months before your housing loan application. This will be reflected in your CCRIS to show your debt payment habits. 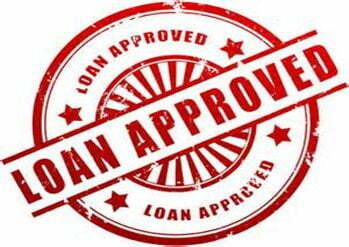 A good credit history will mean higher chances of getting your loans approved. According to PTPTN, as of June 2016 there are 1.25 million borrowers listed on CCRIS with some 600,000 PTPTN borrowers who have yet to make their repayments. In fact, I know of many Malaysians who have not paid their PTPTN loan for years. PTPTN is now clamping down hard on loan defaulters which will affect your CCRIS. If you still have not finished paying your education loan or are having issues in repayment, talk to PTPTN directly. PTPTN has already said that they are “open for negotiations” so talk to them if you have any problems servicing your loan. Just like credit card loans, not servicing your car loans on time will affect your CCRIS. So again, this has to be paid on time for your loans to be approved. If possible, I would urge you to not buy a car first as a car is a liability – meaning it does not generate income and drops in value over the years. In addition, there are many out-of-pocket expenses like car insurance, road tax, parking fees and so on. The only exception is if you are an Uber or Grab car driver, where it becomes an asset – meaning it generates income for you. While I understand that good public transportation is an issue, there is now more option for commuters thanks to the reliability and affordability of Uber and Grab services. Instead, set aside a portion of your income towards down payment for your first home. Not fulfilling reasons two to four and then being served with a lawyer’s letter will result you being blacklisted on Credit Tip Off Service (CTOS). To check if you have been blacklisted or not, go to http://www.ctoscredit.com.my/ and log in with your identity card number.You will then gain access to your CTOS score which can range from 300 to 850. 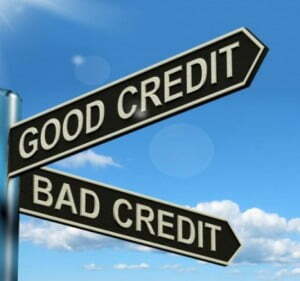 The lower the score, the higher your credit risk – meaning you are most likely to get your loans rejected. It is always good idea to talk to banks and PTPTN to restructure your loan instalments before you apply for a housing loan. 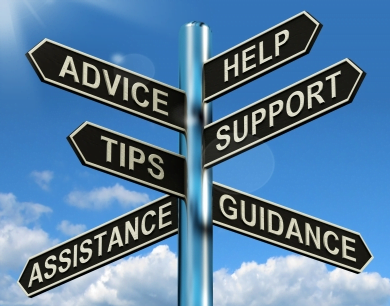 Tell them what your problems are and that you have an intention to apply for a housing loan. Work out a plan on how you can get off the blacklist. There is always a way out.